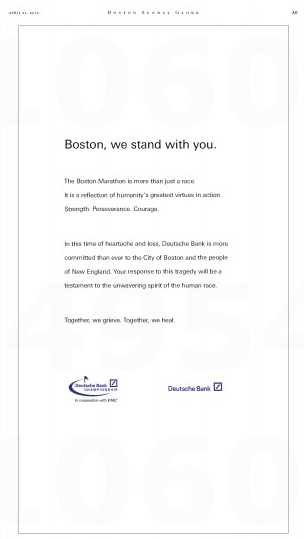 Since the Marathon bombings last Monday, there’s been an outpouring of support and sympathy for Boston in the ad pages of the local dailies. 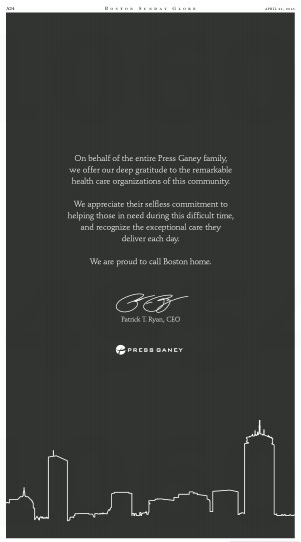 Except not so much in the Boston Herald. And not at all in today’s edition of the feisty local tabloid. 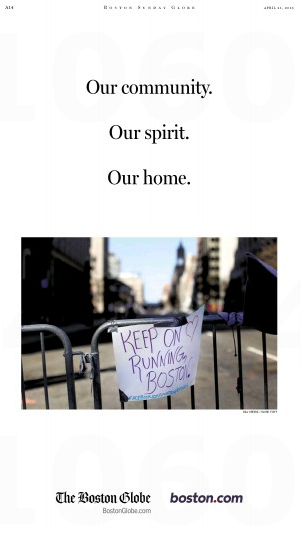 The Boston Globe, on the other hand, is fat with tributes to the Olde Towne and its people. Maybe the Herald got shut out today because it’s one of the few daily newspapers whose circulation is lower on Sunday than on weekdays. Or maybe just because it’s the Herald. 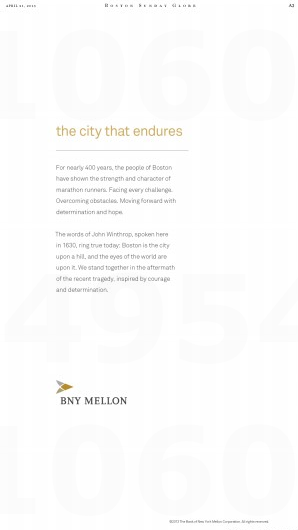 Regardless, judge for yourself how much these ads are a tribute to Boston versus how much they’re a trumpet for the sponsors. 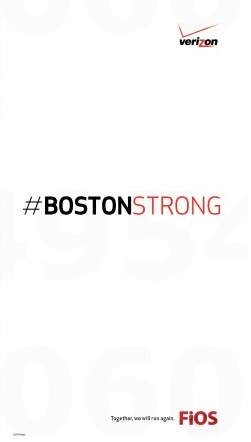 This entry was posted on Sunday, April 21st, 2013 at 3:40 pm and is filed under Uncategorized. You can follow any responses to this entry through the RSS 2.0 feed. You can leave a response, or trackback from your own site.